God called Luke to go to Jerusalem and interview eyewitnesses concerning Jesus and the early church. This put him in contact with Jesus’ immediate family. There are some interesting things to be learned here. Jesus’ family are some of those who gave Luke his eyewitness report to write the Gospel of Luke and the Book of Acts. Luke had the bragging rights of knowing this family. Luke was excited about Jesus from day one. Jesus was his Savior. He forsook all to follow Him. The course of Luke’s journey took him to Jerusalem, where he would interview the family of Jesus as eyewitnesses. This became a burning desire inspired by God. He went to Jerusalem mentally and spiritually prepared to fulfill his calling. In Luke 1:26 Luke wrote that Mary, the woman whom Jesus would later call Mother, lived in Nazareth of Galilee. It was here the angel announced to her that she was highly favored with God. Luke 1:31: “And, behold, thou shalt conceive in thy womb, and bring forth a son, and shalt call his name JESUS.” God was preparing Mary to bring the Savior into the world. Her seed would be the seed of the woman God referred to in Genesis 3:15. Mary’s seed germinated with God’s newly created seed and Mary became pregnant. The Creator created His male seed at the exact location for Mary to conceive. Mary conceived while yet a virgin. There was not a man involved in this pregnancy. God begat the body of Jesus for His own personal use. God was in Christ reconciling the world unto Himself (II Corinthians 5:19). The people living in Galilee where Jesus grew up had some characteristics different than those living elsewhere in Israel. It had to do with the way they talked. The Jews in Jerusalem found the speech of the Galileans to be different and not easy to like. Galileans were looked down upon by the supposedly better Jews. Jesus grew up learning to talk in this environment. Jesus talked like a Galilean. Now, isn’t that interesting. You thought Jesus talked normal like you. Well, now He does but then He didn’t. Then He talked like a Galilean. Today He talks like the individual He is dealing with. Let me explain that. Today Jesus talks to you and me with a picture in our mind. He talks in visions and dreams. When we see this picture we use our own words to explain it. Therefore, He is speaking our native speech. Can you understand this is true with all dialects? God’s picture causes the individual to speak, in his language or dialect, what he sees. Therefore, God speaks in every language of the world by using our words to explain His pictures in our mind. One woman said Jesus has to be Spanish because He spoke to her in Spanish today. God can speak in an audible voice but that is rare. He chooses pictures, i.e. visions and dreams. When we get the picture we clearly see what He said. Joseph was a carpenter and the father of at least six children by Mary. Joseph was not the father of Jesus. Jesus was a half-brother to the other children in His family. The Jews in the following verses did not know this. 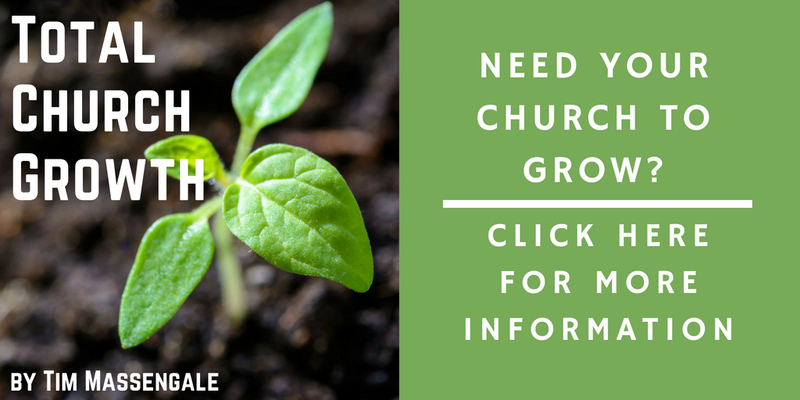 Jesus grew up in His family with brothers and sisters. Jesus learned the carpenter trade from Joseph. When the time came, Jesus laid down the hammer and saw, hung up His apron, and went out to save the world. This was not an easy thing. The world had never heard a message like His. However, at a certain point, the common people heard Him gladly. 56 And his sisters, [this means two or more] are they not all with us? Whence then hath this [carpenter] man all these [Scripture] things? 57 And they were offended in him. In the Book of Mark Jesus is called the carpenter. Mark 6:3 Is not this the carpenter, the son of Mary, the brother of James, and Joses, and of Juda, and Simon? and are not his sisters [means more than one] here with us? And they were offended at Him. They thought they knew him. They watched him grow up. They knew he was a carpenter and not a scholar. They knew He was from Galilee • His speech betrayed Him. The Jews of Jesus’ day were offended because of His speech, His accent, the way He pronounced His words. Their proud Jewish minds were putting down Jesus’ message by thinking “This man is from Galilee. He is not smart enough to teach us. '” For this reason they could not hear His truth. This attitude is also seen in the following, at the time of Jesus’ trial when He was brought before the high priest Caiaphas. Peter followed afar off. Peter was identified by his Galilean accent. 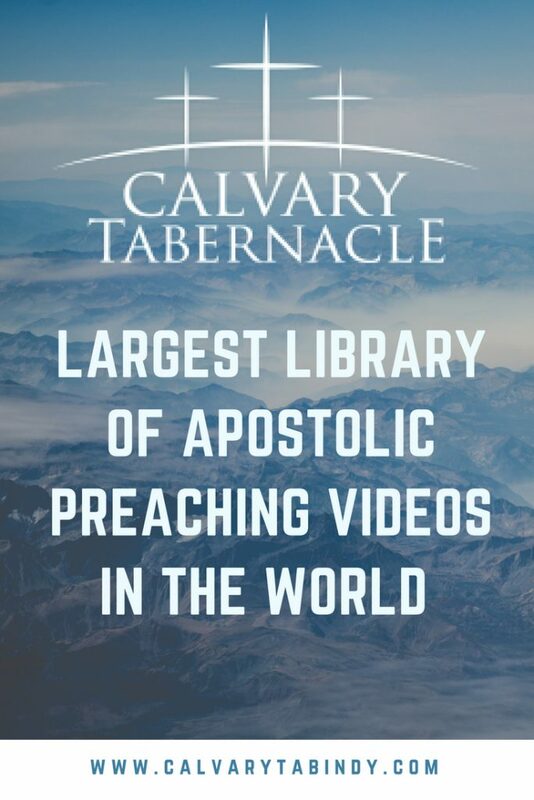 Then the people who had arrested Jesus led him to the home of Caiaphas, the high priest, where the teachers of religious law and other leaders had gathered. Meanwhile, Peter was following far behind and eventually came to the courtyard of the high priest’s house. He went in, sat with the guards, and waited to see what was going to happen to Jesus. Meanwhile, as Peter was sitting outside in the courtyard, a servant girl came over and said to him, “You were one of those with Jesus the Galilean.” But Peter denied it in front of everyone. “I don’t know what you are talking about,” he said. Later, out by the gate, another servant girl noticed him and said to those standing around, “This man was with Jesus of Nazareth.” Again Peter denied it, this time with an oath. “I don’t even know the man,” he said. A little later some other bystanders [they heard him make his two earlier statements] came over to him and said, “You must be one of them; we can tell by your Galilean accent.” Peter said, “I swear by God, I don’t know the man.” And immediately the rooster crowed. Suddenly, Jesus’ words flashed through Peter’s mind: “Before the rooster crows, you will deny me three times.” And he went away, crying bitterly. Luke 22:59 And about the space of one hour after another confidently affirmed, saying, Of a truth this fellow also was with him: for he is a Galilean. People know us. 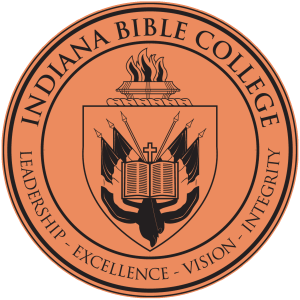 Some of us don’t talk like we went to college to learn the Scriptures. Just speak the name JESUS. It is clear and easy to understand. Just tell the story. That Name creates a need that only it can satisfy. It is like a billboard advertisement. When you see it you want it. Create this need in the hearts of men by speaking His name. Jesus own family became concerned. His brothers sensed His departure from the traditions they had learned growing up. They could not comprehend what He was teaching and therefore could not believe Him. John 7:5 For neither did his brethren believe in him. Jesus’ teaching was so strange that even His friends thought He was no longer sane. A damage-control group of them got together to go help Him. Mark 3:21 And when his [Jesus’] friends heard of it, they went out to lay hold on him: for they said, He is beside himself. The Pharisees put Jesus in a category that fit their thinking. John 8:48 Then answered the Jews, and said unto him, Say we not well that thou art a Samaritan, and hast a devil? 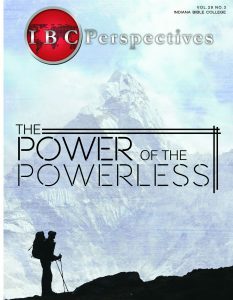 Jesus replied, “Your problem is that you don’t know the Scriptures, and you don’t know the power of God. For when the dead rise, they won’t be married. They will be like the angels in heaven. But now, as to whether there will be a resurrection of the dead—haven’t you ever read about this in the Scriptures? Long after Abraham, Isaac, and Jacob had died, God said, ‘I am the God of Abraham, the God of Isaac, and the God of Jacob.’ So he is the God of the living, not the dead.” When the crowds heard him, they were impressed with his teaching (Matthew 22:23-33, NLT). John 8:51-52 Verily, verily, I say unto you, If a man keep my saying, he shall never see death. Then said the Jews unto him, Now we know that thou hast a devil. Abraham is dead, and the prophets; and thou sayest, If a man keep my saying, he shall never taste of death. Jesus had His face set. He knew His mission. He had no choice. Truth must prevail. In spite of all His critics Jesus remained true to His mission until the end. Luke did not get to see any of this but he went to the city of God where it happened. Jesus’ brothers later believed and came together as a family. Luke met Jesus’ family and became a friend of the family. I Corinthians 9:5 Have we not power to lead about a sister, a wife, as well as other apostles, and as the brethren of the Lord, and Cephas? Jude 1:1 Jude, the servant of Jesus Christ, and brother of James, to them that are sanctified by God the Father, and preserved in Jesus Christ, and called. 6 After that, he was seen of above five hundred brethren at once; of whom the greater part remain unto this present [56 AD], but some are fallen asleep. Paul wrote I Corinthians in 56 AD while in Philippi the second time with Luke. They both went there right after Luke was saved and Paul had his vision. Luke stayed in Philippi and Paul continued his second missionary journey. On his third journey, Paul was used by God to direct Luke toward Jerusalem. Luke knew there were eyewitnesses alive in the city of the great King. When Luke came into Jerusalem in 58 AD he was received by the Lord’s brother James. Acts 21:17¬20: And when WE were come to Jerusalem, the brethren received US gladly. [Luke was gladly received in Jerusalem by all.] And the day following Paul went in with US unto James; and all the elders were present. [This James is the Lord’s brother. James the apostle was killed by Herod.] And when he had saluted them, he declared particularly what things God had wrought among the Gentiles by his ministry. And when they heard it, they glorified the Lord. This began Luke’s adventure of being a friend of the family of Jesus starting with James the Lord’s brother. Jesus, the first born, was born sixty two years earlier; therefore His brothers and sisters had to be younger than sixty-two and still alive along with His mother. Jerusalem was a seedbed of eyewitnesses. God sent Luke to the right place to obtain information important to the whole world. God had our generation also in mind when He did this. Learn it well. Our salvation, as well as that of the ones we witness to, depends on it. Luke spent two years in Jerusalem, the city set on a hill. An added blessing to this was to talk to Jesus’ brother James and also Jesus’ brother Jude. I’m sure these brothers gave Luke family information not recorded. Mary told Luke her story. Luke became a “friend of the family” of Jesus. To be a “friend of the family” of Jesus adds to our admiration for Luke. In Mark 6:3 Jesus had other brothers, Joses and Simon, and He also had sisters. Perhaps Luke talked to His sisters. Whether they all remained in this area and were there when Luke arrived in 58 AD I don’t know. It was sixty two years since Jesus’ birth and He was the first born. All His brothers and sisters had to be younger than sixty two, which means they all could have been there. After His ascension the family of Jesus stayed together and continued with one accord in prayer and supplication. They did not know how long they would have to tarry. They had just the promise of the Holy Ghost, but, as is usual with God, they did not know when. Bartholemew, and Matthew, James the son of Alphaeus, and Simon Zelotes, and Judas the brother of James. Luke wrote this in Acts. Jesus was a half-brother to His brothers and sisters. In the beginning His brothers did not believe Him. In the end all of Jesus’ family believed, stayed together, and were filled with the Holy Ghost. They told Luke about it. Luke became a loyal friend of that family. We also need to become a member of His family, the family of whom the whole family in heaven and earth is named. Ephesians 3:15. We relate to Luke as a loyal Gentile member. We are a loyal member of this family. 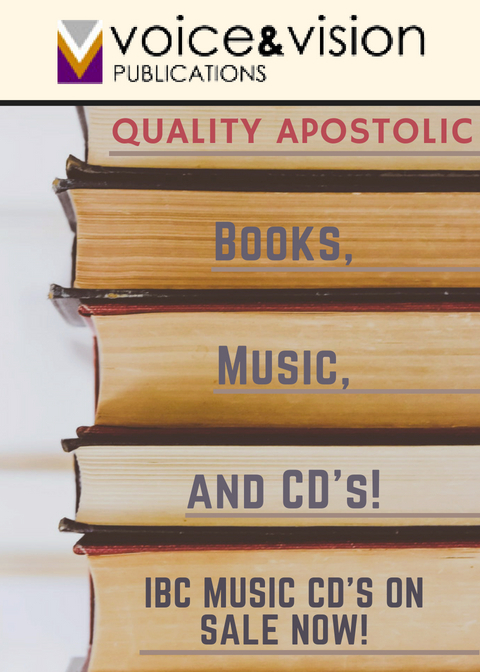 Study the Books of Luke and Acts. Luke is our friend also. 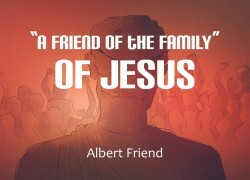 The above article “A Friend of the Family” of Jesus is written by Albert Friend. 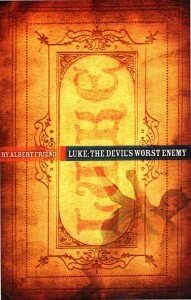 This article was excerpted from chapter eight in Friend’s book Luke: The Devil’s Worst Enemy.